Well, I’m way late on this one, but here we go. 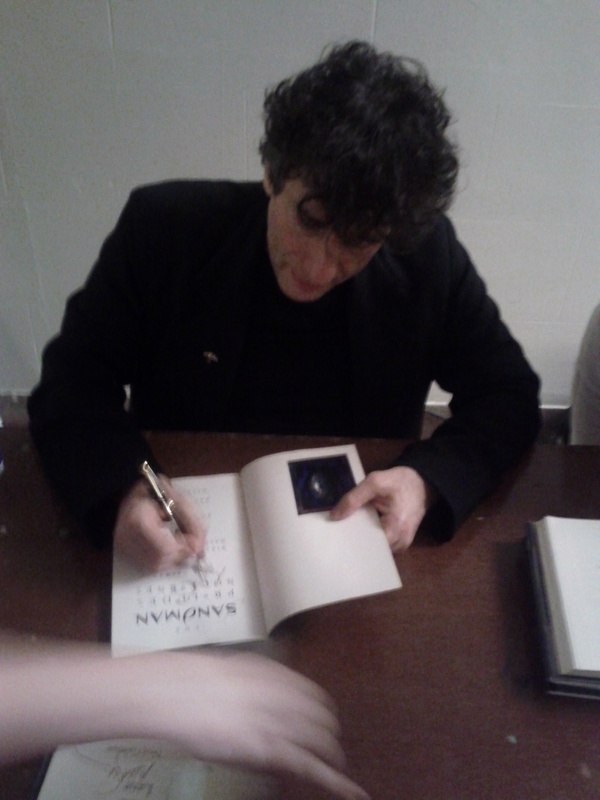 A week and a half ago, on July 10, prolific author Neil Gaiman stopped in Nashville (my hometown) for a speaking and signing tour. 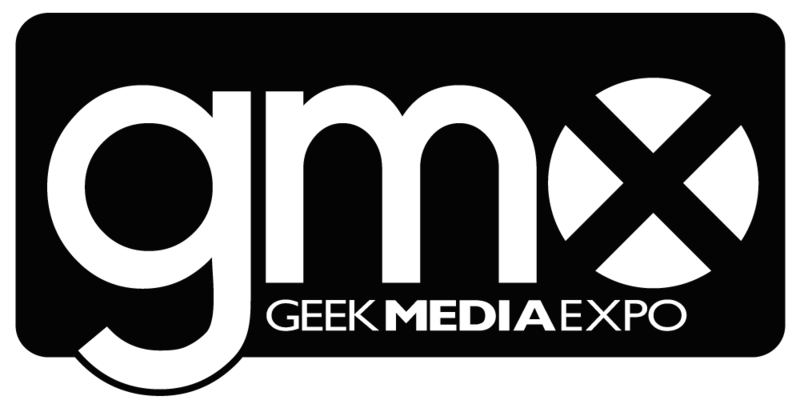 Gaiman is the author of such books as American Gods and Coraline, as well as comics like DC’s The Sandman and Batman: Whatever Happened to the Caped Crusader? and Marvel’s Marvel 1602 and The Eternals. This tour was for promoting his latest book: The Ocean at the End of the Lane. The book is fantastic, by the way, but this post is about the event. Before Gaiman would take the stage, I stood outside in line in the sweltering heat on a bright and sunny afternoon, shaded by the War Memorial building where the event took place. I was out there for roughly 40 minutes. Several others had been there all day, of which I was jealous only of their free time and not of their trial by fire-like heat. I’m sure the water vendor on site made a pretty penny that day. As soon as the event began, a thunderstorm struck, as if the clouds were waiting for us to enter before cooling everything down. Little did we know how fortunate we were. Gaiman exclaimed a personal promise to read a thunderstorm portion of The Ocean at the End of the Lane only if one were actually happening. “I love the idea of reading the thundery bit when it’s all thundery,” he said. Nashville was the first town to oblige. The thunder during his reading provided a thrilling ambiance to the dangerous suspense the character experiences. After the first mention of Doctor Who was met with thunderous shouts of joy, he quickly asked the audience to restrain ourselves, or we’d be there for a while. I was surprised by just much Doctor Who apparel that the audience had, given that Gaiman has only written two episodes for the entire series (at this point, at least). Then again, we Nashvillians don’t often get anyone with a Doctor Who connection, so for many, it’s best to enjoy it in fully geeky garb when possible. Gaiman ended his night with a surprise performance with local banjoist Bela Fleck, which had played into the last question he answered of which musician would he like to have dinner with in Nashville. For those unaware, I’m not very knowledgeable when it comes to music, even or especially that from my hometown, but the audience seemed pleased. Gaiman recited an excerpt from his children’s book Fortunately, the Milk with Fleck accompanying with his banjo, a suiting fit to the light-hearted tale. This latest Gaiman tour is billed as his final signing tour, which Gaiman confirmed this in the Q&A. Thankfully he said that he still wishes to do speaking gigs, just the strictly signing portions would go away after becoming so unwieldy with so many people and so little time. After going through that line myself, I am in full support of cutting the autographs. As much as I love having a personalized signed book, the signing portion of the event was probably my least favorite. I don’t mean the waiting, which I spend conversing with old college buddies I see too rarely, but instead the actual up front and signing. Once I reached my destination in front of Gaiman himself, I was awkward and dumbfounded. All I could say was to ask for a photo, which came out blurry anyway. Then I took my two books and departed, as the process repeated itself for Gaiman likely a few hundred times more. I should have brought an actual camera. The phone doesn’t cut it. For the few people that actually get a rewarding experience from an autograph line – exchanging actual pleasantries or something close to an actual conversation – there are likely hundreds like myself that are stunned for words and must move on for fear of holding up the line. After working in events for so long, I know not to hold up lines. Speaking of working for events, here’s where the convention staffer in me gets to geek out. The actual autograph line procedure was impressive. Each row of seats was labeled by the section it was in and the order it was located in that section. I was in section 4, row P. When the autograph part of the evening started, the event organizers called all disabled and pregnant individuals up first, a reasonable action. Then, a series of rows were drawn at random from a bowl, making the line order completely random. Only a few rows were called at a time, allowing those not called to continue sitting. Those who didn’t want to wait could take a pre-signed book instead, which lacked any personalization but also saved time. The evening wrapped for me with friends at a local pub, fitting our night with the British author. 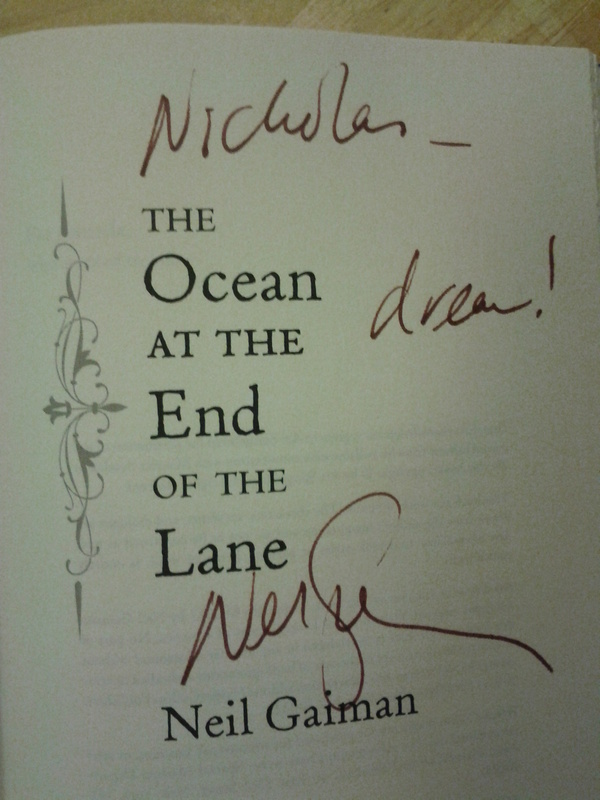 I had a great time listening to Gaiman, which didn’t feel too short but could have easily gone on longer.